On the 18th of May 2011, the National Surgery Conference 2011 opened at the Hilton Hotel in Sibiu. The opening seminar was dedicated to proctology and sponsored by PROCTOLiNE. The speakers were Prof. Dr. Constantinoiu (coordinator of PROCTOLiNE and VARICOLiNE), Dr. Iusuf Timurlenc (coordinator PROCTOLiNE Constanta), Dr. Radu Viorel (Coordinator PROCTOLiNE Bucharest), Dr. Cristina Cristache and Daniela Kruppa (ON Clinic Manager for the Sibiu Branch). 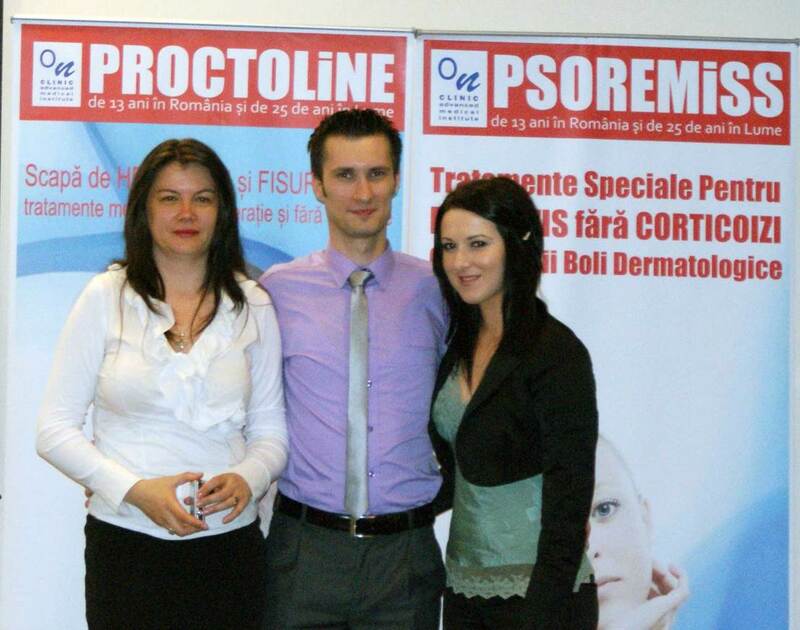 Proctoline Clinic opened the event by a conference where the clinic doctors spoke about Proctoline treatment and which was attended by nearly 200 surgery doctors from Romania.